Thank you channeler and all who serve you. Thank you trigger for sharing some of your backround with us, Reiki and Nutrition are very important themes in my lifes journey and I have been playing with the idea of “New Age Nursing” using energy work as well as nutrition combined with the magical/healing properties of herbs as well as homeopathy. I feel that the only function of western medicine may be some of the diagnostic practices yet the spirtitual connection between the doctor and patient in the U.S. is virtually lost, and pharmacology is just plain dangerous for the most part. Otherwise, using a holistic approach to guide and heal is my mission. And our energy/spirit/quantum characteristics underly all the biological processes and there for when treated have a healing effect on the rest of the body. I have a friend who gives Cannabis freely to those who are ill. Some receive Cannabis in extract form, containing all the CBD’s(Healing properties) with the THC(psychotropic properties) taken out so to speak, the tincture regimen, given subbuccally or such has stopped the growth of Cancer cells when conventional practices failed. The information relating to healing properties of herbs are well known and available in different types of publications, just the wording and perspectives change. Focus in these areas people for BALANCE in healthcare, so we may break the bounds and restraints that hold us back, restraints that we impose on ourselves by saying ‘I have no control’, so then you have no control. We say, TAKE CONTROL. See yourself being successful. Look for balance and you will find balance, like our cosmic family points out. Wherever you choose to look, there is a counterweight. Now, visualize that counterweight and then manifest it in your life. It takes time, even a lifetime, and your counterweight for good will be noticed even more when your vessel is absorbed back into the earth, and your energy is once again liberated, helping our divine community grow as well. We have been listening to these channelings for a few years now. We found you while searching for our origin. So many shifts in conscience for us three. We have released all concepts of “birth family” and have been meeting our star family for a few years now. We are clear about our purpose here. Being without TV for eight years and guarding our minds, hearts and choosing to think about what we put in our bodies. Facing some hard work and dark nights. This sounds like a new age mumbo jumbo jargon….it isnt. This is our truth. We heard clearly to step forward into sharing our gifts. We are grateful to be a part of this time on this planet. Mammoth Mountain and the Caldera are waking up and so many beautiful earth changes are before us all. We found that laying on the naked earth is a type of medicine for us. Drumming is medicine and humming….vibrating and matching the frequencies of beings around us…trees… So many tools to use now. We encourage you to find them! Recently, I’ve noticed that a major media outlet that I regularly listen to has started putting on positive, life-affirming stories and guests that, even a few years ago, they never would have considered putting on the air. For example, recently they’ve had stories showing people how we all can contribute, each in his/her own way, to the betterment of the planet; stories highlighting love and compassion; and–believe it or not–they even had some guests who suggested that, maybe, Mankind should end all warfare! Amazing! The changes for the better may not be coming as fast as we would like, right now, but they are coming (and will accelerate going forward). Hang in there, everyone! I was thinking that it would be interesting if you were to include some background information on the nature of the beings channeled. Who are they, where are they from, why are they speaking through you. I don’t think I’m the only one that’d be interested in that. You get more of what you focus on. If you focus on how much you hate war, you’ll get more war. If you focus on how much you love peace, you’ll get more peace. Do you know where your focus is at each moment? I took your advice and have been focusing on the beneficial changes I notice. A white lawyer in DC stood up for her black handyman who was being harassed by the popo (her Hispanic maid videoed it) and shooed them off her street. My state’s incumbent (he’s up for re-election) governor’s fiancee was shown to have committed marriage fraud (marrying someone from another country for money so he could get US citizenship). And, you know, she hasn’t once denied it or prettied it up. She stands tall, says she done wrong and is ready to take the consequences for committing fraud. The Dolly Parton Foundation is partially funding books for children ages birth to four in my town. Our Library Foundation is picking up the rest of the tab and almost 1500 children have been signed up since Sept. 5 (when the program was launched here) – there is no catch and families who have signed up their children are under no obligation to donate to the foundation. And, on my way to work, the local public radio station had $12k to raise today to meet their fundraising goal. After I got off work, with 45 minutes to go, they were within $2k of the goal. My mechanic told me I needed a new alternator, but when tested at the shop it was fine and he did not replace it!!! saving me $300. Pleiadian’s? When do we all get to meet. My Home is allways open to any Good intentions Spirit’s of God. I AM looking forwards to a New exciting Magical Adventure with All of My Soul Sibling’s, no matter what planet we all our from, Hoping the ones in our Heavens can join Us All. We have met yourself and otherson this site. 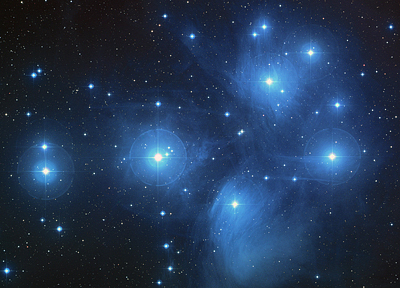 Pleiades is your / our home/ place of origin. This is why you seek the pleiadian a company, we r your family. We live in our essence/ our spirit energy form. We r here with you. My Email don’t work sorry.